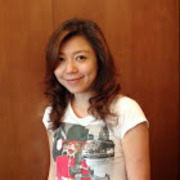 Women Who Code Taipei is a 600+ people community. We often host free technical workshops to learn different programming languages. When we saw this competition, we invited Young to join us because he heavily relies on voice to communicate to the world. 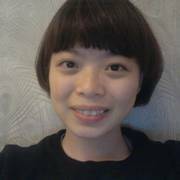 Young is a part-time visually impaired massage specialist and a coder(believe it or not). When we started to brainstorm the project scope, we asked what his main challenges in his daily life are or what would really make him happy if we could use voice control system to help relieve some of his problems. At the time, he never interacted with Alexa, nor would he know its capabilities. Rachael Pai at our team is a certified Alexa Skills expert. She brought her Alexa and Echo and showed us how it interacts with us "in English" at the first team meeting. Oh...right, we can only speak English to make it work as of now. 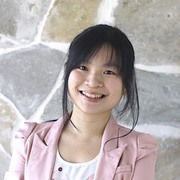 Then Emily Chang, YR Cheng- our UX designers started to draft the user story, recorded a few pain points on what Young faced when he conducted massage therapy with customers. For example, he often has problems with checking on the time remaining to arrange the steps of the spa accordingly during the massage session. He also would not have a way to know when the next customer will be at the door because appointment system is not in place. Sometimes, he has problem collecting the right amount of money shared with the massage store owner based on his service time and customer requests. Estimated time spent per session is recorded at the management dashboard here:http://www.iams.tw/ so the store managers could double check if there's a conflict between the predicted session end time and the next appointment time to make proper arrangement. We also created a booking website for customers to make appointments by selecting the types of services and specialists they specified: https://siphodsalexa.wixsite.com/massagemanager/book-online https://siphodsalexa.wixsite.com/massagemanager Here is the message manager architecture. 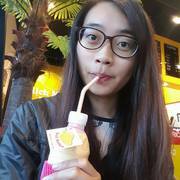 We recruited the team from Women Who Code Taipei network:https://www.facebook.com/wwcodetaipei/posts/1211773198950381?pnref=story Each team member has specific function and we are glad we get to resolve a real problem for one of our team members as well as his community. As most of us don't have visual problems, we spent a lot of time observing how they use the baby timer/alarm machine (https://www.google.com.tw/search?q=%E5%AF%B6%E8%B2%9D%E6%A9%9F+%E7%9B%B2%E4%BA%BA%E8%BC%94%E5%85%B7&source=lnms&tbm=isch&sa=X&ved=0ahUKEwi54OP-l-TTAhXJppQKHZRFD4IQ_AUICigB&biw=1440&bih=710#imgrc=eA9aJf1u9TwreM:), a timer that can notify the end of a session for these specialists. But we saw they constantly need to press a button to know what's the time now and the remaining time during sessions(imagine you have essence oil on your hands), it's really disturbing to the specialist and the customer. Another thing we found out is, the idle time is long. Some specialists are available right now but they don't have a way to notify their customers or the managers can't really access their calendars to know when/how to make instant arrangements. They also could not know each other's capacity or a way to have income distributed evenly among the specialists on duty(if they want). With limited time and resource, we could only make very small MVP for this competition but it will need to address the solution we proposed to resolve Young's problem. This is the first Alexa skill created from a pure Taiwanese team focused on a topic that is very unique to Asia. A lot of visually impaired people are trained to be massage specialists in Taiwan(probably a special industry in Asian culture). 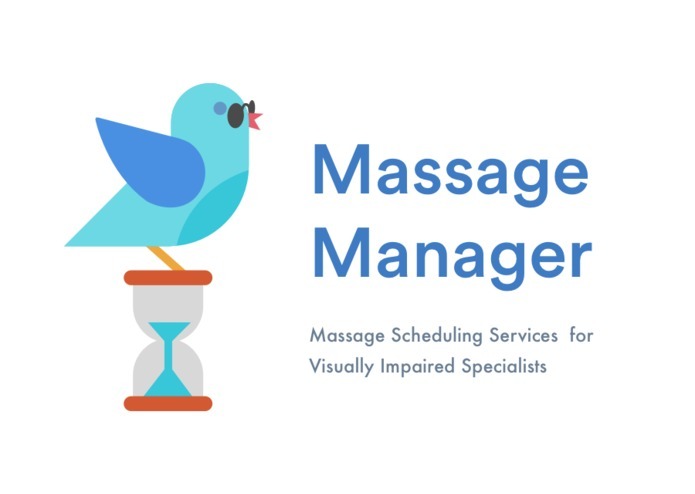 From a research we found out, 38% visually impaired people have jobs, 1/4 of them are massage specialists. On average, they can serve 6 customers a day, the income in cash could be up to $200 USD/day. (The minimum monthly income/month in Taiwan is ~USD$750). Even though we could only use English to communicate with Alexa, there's potentially a big market if we could expand the services to multiple languages in various countries and it has a great value add to improve the lives of the people serving in this industry. Imagine if we could have echo in each room at multiple massage stores and customers can make appointment from their location to a nearest store with a confirmed available next agent/specialist name and accurate appointment time they enter into a store. We will resolve unemployment program and potentially make visually impaired entrepreneurs more successful. I've never thought of how the intelligent personal assistant could influence our daily life until I experienced it. It sparked my imagination and made me start to learn the voice interface. I've learned the most is the power of team cooperation, how to effectively communicate with partners, the process of learning by doing, understanding the difficulty of recruiting talent and transforming your mind when facing the problem with changing the path. I think Young has much more potential than he thinks, his attitude toward hardworking is really unimaginable. I think as long as you work hard, coding is not hard. Teamwork is important. We also need to make sure the demo video is translated well so foreigners could understand what we do. 3 main things I learned: *the process from ideation to execution; *APIs *It's good to be called "Engineers" but it takes a lot of hardwork. As a massage specialist, you are tired after a day of work but you sleep well. After experiencing Alexa, it is recommended that Amazon must focus more on the position of Asian market. Alexa is really good and very suitable for our massage work, but it can only speak English, it will have its well-selling phase if he can speak Chinese. Hope we get to have "mandarin" version out soon so we could serve the local massage specialists better. We want to make Young and his colleagues the first group massage specialists using Echo to change the industry. What's even more exciting to us is, anyone can code and can resolve a real world problem like Young. I developed alexa skill and backend service. Backend includes a golang api-server which communicate with alexa from lambda and dashboard request. Its use aws dynamodb as a database. I worked on user experience design and user research. After conducting a series of deep interviews, I helped the team to define and focus on our minimum viable product, brought value to the target users. It was awesome to worked with these partners. An user experience designer. Writing and sketching are her ways to experience, organize, and influence the worlds.